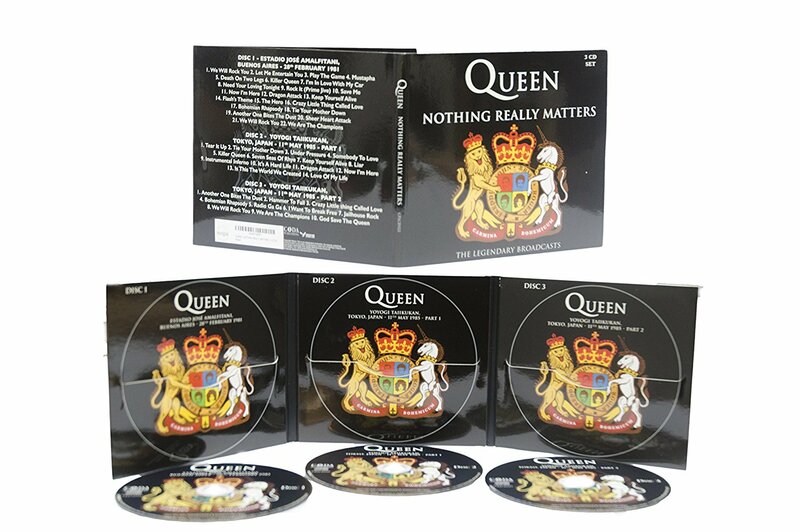 Comments: The 2nd Queen bootleg cd release from Coda bootleg label. Both concerts well known for Queen fans. Buenos Aires concert was broadcasted live on national television in Argentina. Radio broadcast was might done aswell. 'Dragon Attack' isn't on the officially releasing, so this recording comes probably from the radio broadcast. Both this concerts which is on this Coda release, has previously been heavily released on various bootleg labels & titles, aswell on vinyl, cd & dvd bootlegs. Roots: Originally both this shows has been broadcasted on television. I'm not sure which source Coda records has used on this release.